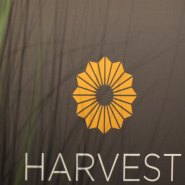 Harvest off Mission offers medical and recreational cannabis in San Francisco, CA. Experience Farm to Feeling. Take one step into our modern stores, and you will immediately feel the difference. Harvest is not your typical dispensary. Exceptional service. All-natural products. Independently lab-tested flowers. No separation between you and hundreds of curated products. Browse, touch, ask and enjoy the Harvest difference. Located in Bernal Heights on 29th St. between Mission and San Jose.